A twist on WW2 shooters comes in the form of an undead German officer with some interesting abilities stemming from some Nazi mad scientist research. It seems like most a typical games and films based on such premise the Nazis again are toying with things they should not. But can you really blame them? 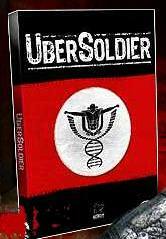 After all a group of genetically engineered zombie soldiers at your beck and call to march on your enemies is pretty hard to resist, and if they did we would not have games like Uber Soldier to play with. Players take on the role of a Nazi officer who is killed in an ambush and then turned over to the Nazi scientists to be part of the resurrection project. On coming back though the player has but one desire, revenge on the Nazis! 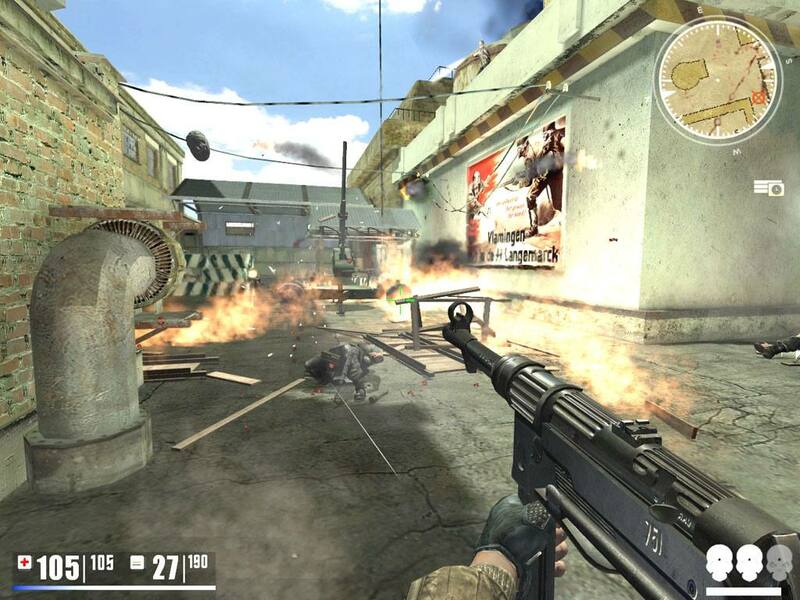 There is not much on realistic battles here, it's nothing but action with an array of weaponry, from a trusty knife for silent death, to pistols, rifles, sniper rifles and machine guns, and of course grenades. Even the bigger fixed emplacement machine guns can be manned. Some times the fights are fast and furious and other times even with the characters enhanced abilities it pays to try to thing tactically. The characters abilities seem to be powered by rage and the player is rewarded with the power to use certain special abilities when they perform certain tasks. Such as shoot three bad guys in a row, in the head. One of my favorite abilities is sort of a power of the mind shield that catches the bullets of an enemy. It is called a temporal shield. The red hot bullets are stuck in your mind powered shield that you project and they just float there until you turn the shield off. Then when the shield is turned off, they drop to the ground. It's the little things in a game that make a game cool some times, and this is just one of those cool effects that will be tied to Uber Soldier and remembered. Best of all, while your mental shield is up and the bullets are flouting there, just walk towards an enemy or group of enemy, the bullets touch them and it's as if they are shot from gun fire. Pretty cool trick! The sound is very satisfying, ambient sound cascades around the player. Gun fire is enough to make you jump out of your skin, just the way I like it. The heavy crump and blast of an explosion is a treat to the ears. Too often weapon or other sounds in a game leave you a little dry. Not so with Uber Soldier, all the sounds are a thumping pleasure. If I had any misgivings it would be the German soldiers sounding very much American. but hey you can't have it all I guess. After all, how many WWII films have we seen with the Germans having British accents? So I can live with this. Graphics, woof. I for some reason had no great pre conceptions for this game. But I was rather pleasantly surprised with Uber Soldier's graphics. The graphics engine looks like it can duke it out with any of the recent graphic engines and come out looking darn sweet. Shader Effects seem to be through out, and the environments all immersive enough to give you a YOU ARE THERE feel. Very well done all around. 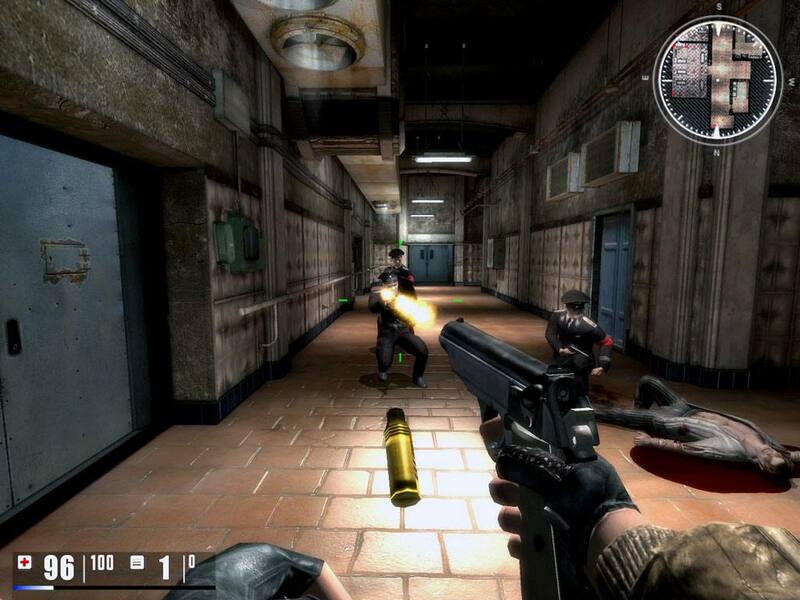 Though some things like shooting gas cylinders and barrels to produce explosions (Like how many other games?) are here and thus seem over used. I hoped for more interesting or innovative things from this game. The graphics and physics engine also has a few interesting treats for the player. There are objects that can be interacted with; tables can be knocked over with the items on those tables spill across the floor. Coolness all around. One of the things that seems ok but at this point I have not found any real purpose for other than a gee that looks cool factor. Characters being shot at have bits and pieces of their gear drop off. In other words, you can shoot the helmet off of an enemy, or parts of an ammo belt or other gear. Looks pretty cool, but I have yet to see any use for it other than eye candy. 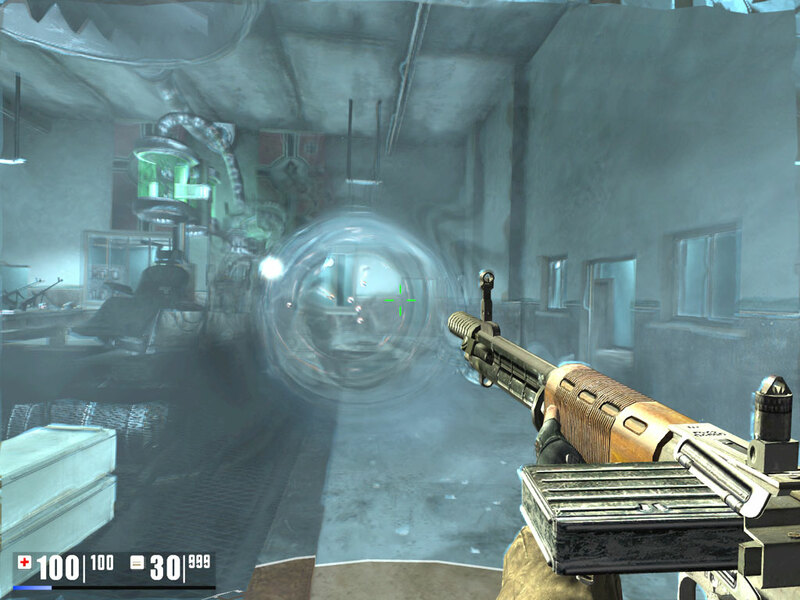 The game itself can be a graphics heavy burden on a computer depending on the set up. Opening load times are long so gamers may want to play with closing down any extra back ground applications before running the game.